Love those shoes! The lilac shade is so pretty! 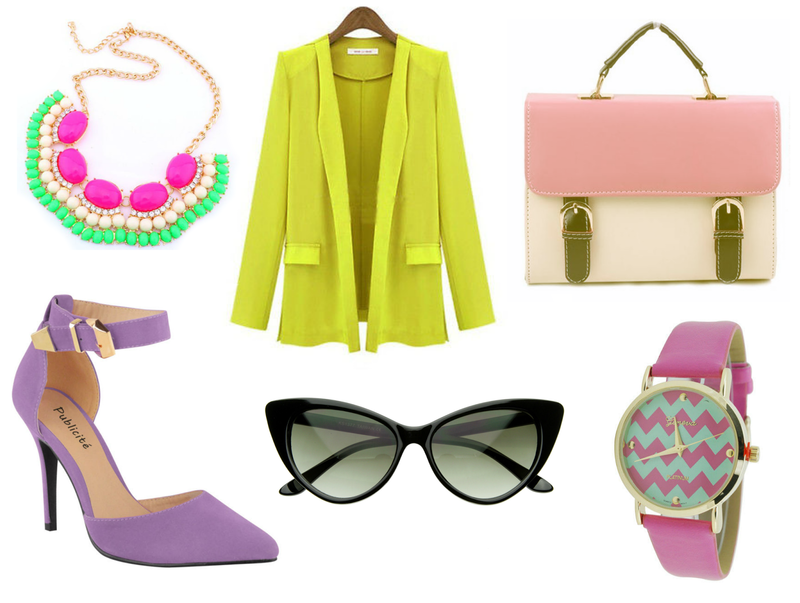 Love the watch and the handbag, what a gorgeous Spring theme wishlist! I'm forever buying statement necklaces off ebay, they're so cheap! I really love the blazer and the watch! I never know what I'm looking for on eBay! You've found some gems! That watch is PERFECTO. I like your style, lady! I love the bag and the winged / cat eye sunnies. That wishlist is so cute!!! =) Love all the colours!